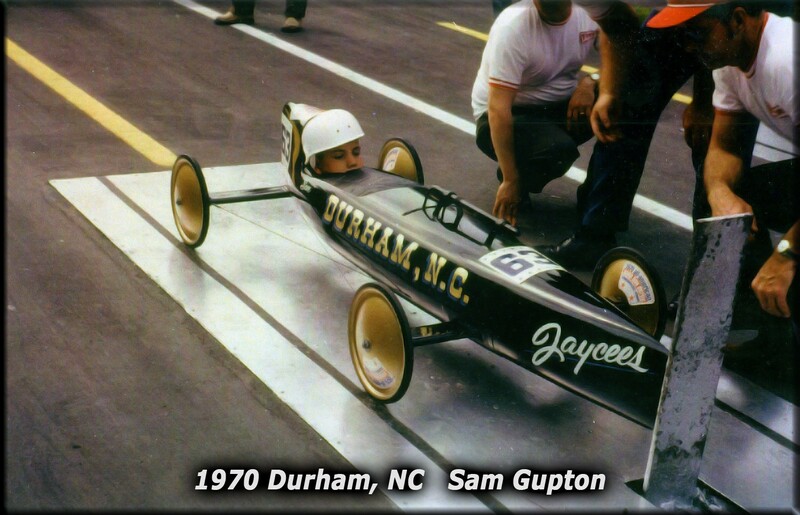 Soap Box Derby used to be be big, both nationally and in North Carolina. Today the derby apparently survives in the state only in Morganton, where it has its own track at the Burke County Fairgrounds under the sponsorship of the Morganton Optimist Club. Newspaper archives offer a look back at the race’s glory days in Raleigh and in Charlotte. In 1970 a Durham contestant won the national championship. Less illustriously, a 1993 champion from Huntersville — perhaps influenced by the local culture? — was stripped of his title for using unapproved materials.